iPhoneに疑似Touch Barを表示し、全てのMacでアプリのTouch Bar操作を利用できるiPhoneアプリ「TouchArch」がリリース。 | AAPL Ch. Get and use latest model MacBook Pro’s Touch Bar on any Mac with a simple, smart way. 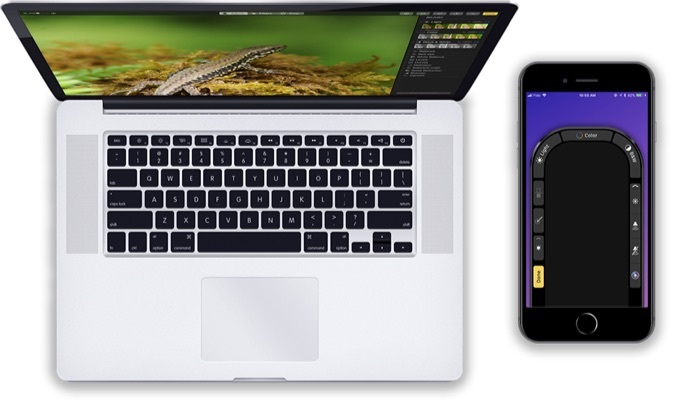 Just launch TouchArch on both your Mac and iPhone then good to go. Hallo, die ist ein Test ☺️ mit der App TouchArch mit iPhone X auf Macbook Pro. Funktioniert super, auch mit Tweetbot.